Jypyä Pop (Turku, Finland) on 1 May 2017 in Lifestyle & Culture and Portfolio. 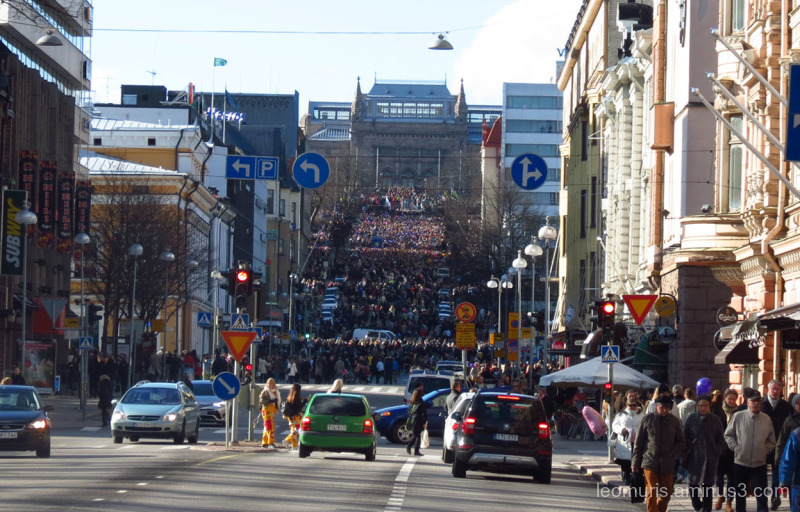 Vappu is a celebration of students and workers. The students celebrate an evening in the evening. The gang meets at 6 o'clock in the afternoon, and it marches to the town of Liliana, which gets its head over to college. Speech and ceremony after the celebration continues as long as the parties have enough strength. Oupsssss que de monde une très belle réussite. Looks like a great time. Enjoy...or stay out of the way! What a crowd, in this great street image. Good good good !!! Hope it was a great day ! @Devi: Thank you. It was fine day. Let's go , I'm ready ! An impressive point of view. Looks like fun! That's a whole lot of people back there ! Incredible attendance to generate such a crowd!! Your capture illustrates this beautifully! Quite a contrast to yesterday's snow, such a warm massed gathering today. @Curly: The spring in Finland is like this. Que de monde ! Superbe point de vue sur la foule ! A lot of guests, great view of the buzz in the street.